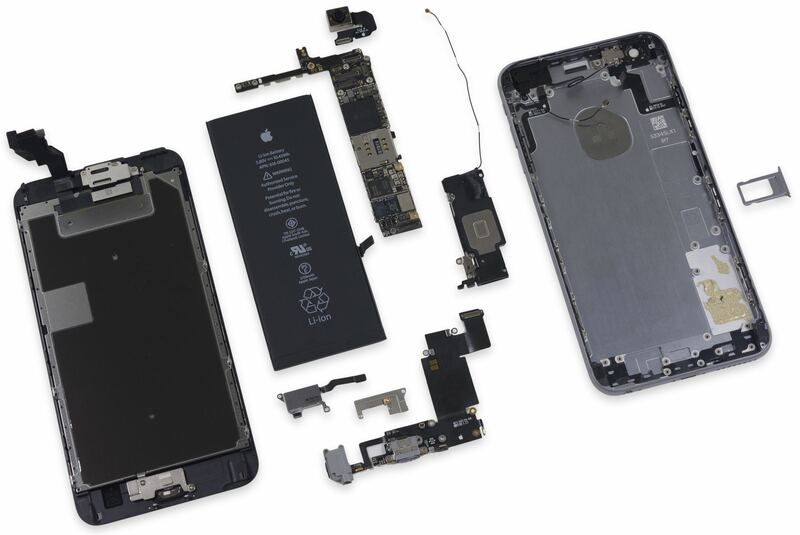 After taking apart the 4.7-inch iPhone 6s, repair wizards over at iFixit have now disassembled its bigger brethren, the 5.5-inch iPhone 6s Plus (model A1687/A1634) After popping the handset open, the iFixit team immediately discovered a largely unchanged layout from the iPhone 6 and a slightly smaller battery versus last year’s iPhone 6 Plus. In line with the rumors, the battery inside the iPhone 6s Plus is of a 2,750 mAh variety, representing a modest 165 mAh downgrade versus the iPhone 6 Plus battery rated at 3.82 V and 11.1 Wh of energy, for a total of 2915 mAh. 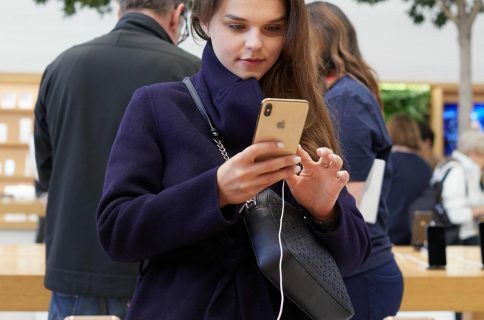 Despite the downgrade, Apple claims battery life will be comparable to that of the iPhone 6 Plus: 14 hours of 3G talk time, approximately 10 hours of internet use and up to ten days on standby. The iPhone 6s Plus weighs in at 192 grams (6.77 ounces), a twenty-gram difference versus last year’s iPhone 6 Plus at 172 grams (6.07 ounces) and a 63-gram difference compared to its smaller brother, the iPhone 6s which weighs 129 grams (4.55 ounces). As is the case with the iPhone 6s, the increase in iPhone 6s Plus weight is mostly due to a substantially heavier display assembly which now uses an additional layer with 96 sensors that measure force exerted on the screen. The display assembly itself on the iPhone 6s Plus weighs in at about 80 grams versus 60 grams on last year’s iPhone 6 Plus model. “This astonishing 33 percent increase in weight is all because of Apple’s new 3D Touch technology,” iFixit notes. 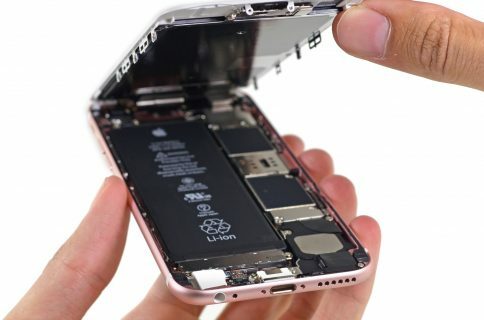 iFixit noted in a separate post that both the iPhone 6s and iPhone 6s Plus are dramatically less prone to liquid damage than their predecessors. Apple’s achieved higher tolerances to water damage through the use of a 0.3 mm wider lip running along the perimeter of the phone’s frame, making it just wide enough for that little gasket to land on but tight enough to keep water out. In addition, logic board cable connectors from the battery and the display, along with the Lightning port and the actual buttons, utilize a tiny silicon seal to prevent water damage. Apple’s Taptic Engine in the iPhone 6s Plus is a lot smaller than the one found inside its smaller brother, the iPhone 6s. Specially, the iPhone 6s Plus’s Taptic Engine measures 15mm wide, 8 mm tall and 4.9 mm deep compared to the 35 mm x 6 mm x 3.2 mm one found in the iPhone 6s. “Our guess as to the reason for the substantially smaller footprint: Apple didn’t want to shave off too much from the already-scaled-down battery,” explains iFixit. 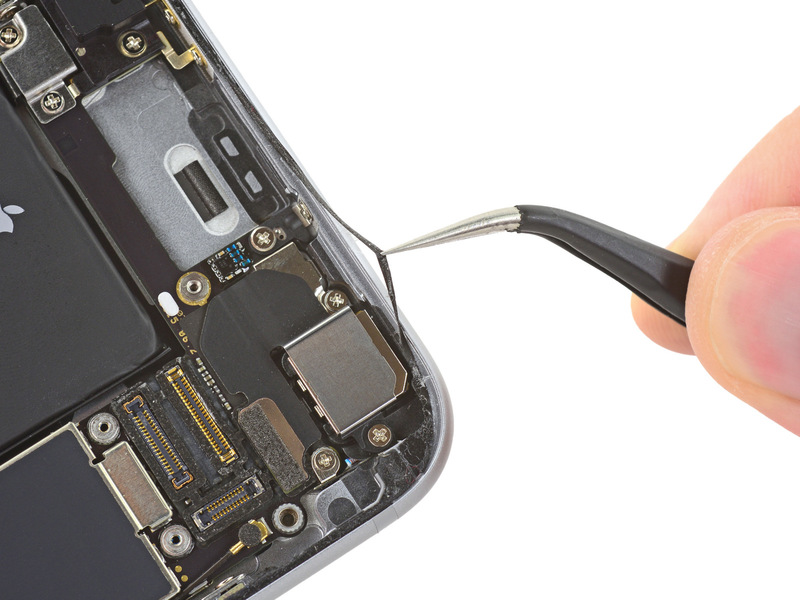 iFixit’s iPhone 6s repair guides are now live, use the following links to read them. You’ll also need iFixit’s tools for your iPhone 6s or iPhone 6s Plus repairs. Replacement parts will be added to the iFixit webstore as soon as they become available. Repair of this device is similar to previous generations, requiring screwdrivers and prying tools. 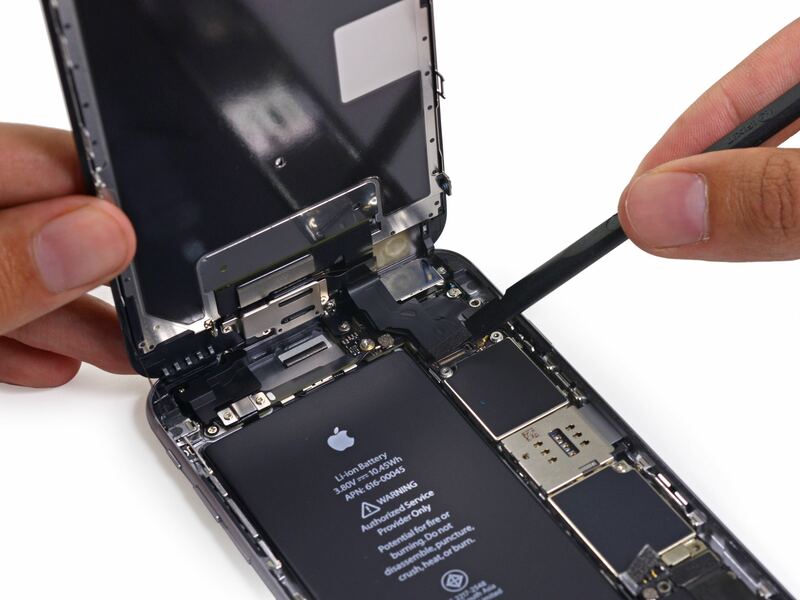 Both the display assembly and the battery are easy to replace and removing them requires a proprietary Pentalobe screwdriver and knowledge of the adhesive removal technique. Thankfully, all of the internal screws in the new iPhones are Phillips screws. The Touch ID cable is still tucked out of the way, but is paired to the logic board. The handset still uses proprietary Pentalobe screws on the exterior, requiring a specialty screwdriver to remove. The Lightning connector assembly (pictured above) now comes with the addition of a second microphone, meaning repairing a single damaged Lightning port or headphone jack requires replacing the entire assembly. Both new iPhones earned a 7 out of 10 on iFixit’s Repairability scale.